I am learning to eat Paleo, but I'm not "there" yet. So feel free to comment if you see me listing something that I need to know not to eat. I have a family member who still wants starches and grains, so ones that I am not eating will be in parentheses. They have added more country studies to our product line. The 50% off Geography Sale continues through Sunday, March 31st. So, yeah, a better week. So here are the things we worked on this week. We were working on reading the Bible through in a year, but in light of events in "the student"s life right now, I decided to switch and read things that would specifically minister to him. So we switched from our readings in Deuteronomy (or maybe Exodus), and read some in Ephesians and Phillippians, and are now reading each day some from Romans and Psalms and Proverbs. I am also working on learning piano, and reading music, and have been working on playing "A Mighty Fortress Is Our God". The old hymnal version. There's a place for remakes, but I'm mostly interested right now in the older versions of hymns. They minister to my soul. Next week I think I'm actually going to pull out the hymn book to keep on the keyboard. My son has worked on a lesson a day. This week my son took Test 9 and did lessons 91-95. This week we've been working on Supercharged Science, specifically the Electric Unit and some Solar Electric projects that my son came up with on his own. JD also attended his 4-H Club and worked on the project that the club members are currently working on. This week we continued to work our way through Reconstruction and Reform. Related historical reading, we have been reading Then Darkness Fled, a biography of Booker T. Washington. JD has continued his work in Latin. This week he finished chapter 7. We have also continued to work on Excellence in Writing. We also worked this week on The Art of Poetry. We will be setting this aside now, and will pick it up again next school year. In the general area of reading, we finished our biography of Ralph Moody, the 2nd book in the series, called Man of the Family. We also continued our reading in The Pilgrim Adventure, by Sue Kilbride; we will finish it next week, and I'll write a review. We also began working our way through The Hobbit, and are working our way through the Progeny Press Study Guide for the Hobbit simultaneously. We have been working our way through With Stanley in Africa for many weeks. It was really cool the way this readings in With Stanley in Africa dovetailed with our readings in Halliburton's Book of Marvels, The Occident. This week our readings in The Occident were also about Stanley and Livingstone's discoveries in Africa. Very cool. Well, we've really dropped the ball on art this week. Next week I'm hoping to start JD on a paper mache face mask made over an inflated baloon. This week Jonathan wanted to listen to Ravel's "Bolero" again, so we did. We've also been working on learning to play the keyboard with Adventus MusIQ, a program that I will be reviewing soon. We had continuing discussions about internet game addiction, as well as discussions about acceptable alternate activities. In addition, it was necessary to have discussions about the importance of respecting adults in his life, which he really struggles with. We went to a college fair, where the college representatives were treating him with great respect, which he craves, and I tried to help him understand that other people in his life will be better able to respect him if he begins by treating them polite and respectfully. We went over scriptures about "Do all things without grumbling and complaining," etc. JD walked on the treadmill several times this week. He had a Boy Scout 10 mile bike ride last Saturday, and has a 30 mile bike trip with them tomorrow. It's been difficult to get him to go outside to exercise this week because 1) it has been very cold this week, and 2) there are some boys in the neighborhood harassing and bullying him over something that he did which he shouldn't have done and regrets. How they knew about it (a private matter) is beyond me, but now they bully him and harass him every time they see him. In February I was delighted to receive in the mail a copy of The Art of Poetry, by by Christine Perrin (Classical Academic Press), for my son and I to try out and review. Now, I need to let you know at the start that I approached this product with a clear bias: I love Classical Academic Press! Good. I said it. Now, my review. In educating my son, since he began Kindergarten, I have always included a poetry component in his scheduled studies. 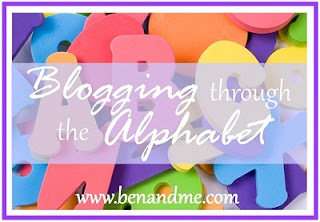 I have decided to attempt a weekly excursion into blogging through the alphabet with Ben and Me. In our house we love apples. I used to love Delicious apples, but I think now they have been so genetically modified that they have next-to-no taste and their pulp is the consistency of solidified mush. So our current favorites, which we even happen to have in stock, are MacIntosh, Gala and Honey Crisp. Can you tell them apart? 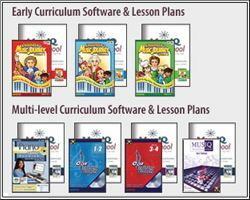 Here are activity ideas, a unit study, and a free apple lapbook link. A is also for AVOCADO! Can you find them in my fruit drawer? ...which my student isn't supposed to be, but he is, so I'm blogging. I'll cut him some slack; he does do school work at night, because he finds it easier. He's awake anyway, having trouble sleeping, and it makes his school day a little shorter the next day, although you can see sleep in the night time is just being traded for sleep in the school hours of morning. I've been following a vegan diet for one year and four months. I have not been following it well -- I've been more vegetarian than vegan, with soy milk, ice cream, and chocolate sneaking in daily. Plus, my hubby has been very unhappy with our dietary division. My brother has been following a different diet about the same amount of time as I have been following my diet, and he is doing better with his diet than I am with mine. I mean, he is more successful with his weight loss (well, he did have more to lose than I did...), and he seems to ...well, he seems to feel great! So, well, don't consider me a traitor, but I'm going to switch from the vegan diet and change my mindset to the paleo diet for awhile and see how that does. I think I will list what I am serving, not what I am eating, so you will see things like legumes, potatoes, grains, but that doesn't mean I am eating them. So here is my transition week. I need to transition into my paleo diet, because I need to eat the food I have already purchased, my leftovers. And I need to figure out this week how to do paleo. Hot Dogs, Hamburgers (veggie burgers), baked beans (vegetarian), cole slaw (sour crout), chips, lettuce, tomatoes, pickles, etc. Toccata and Fugue in D minor BWV 565 (consists of one toccata and one fugue; do-able in 2 weeks) **This one is awesome! I was planning to take a photo just in my blue sweater, but it was too chilly. I always seem to be in my WS fleece jacket these days. I want spring! 1) I have never been off North America. 2) I once took shorthand at 140 Words Per Minute. 3) I am the 3rd born child of a 3rd born child; I married a 3rd born child, and I have a 3rd born child. 4) I know how to play guitar. 5) I know American Sign Language. So... I just saw this challenge... So I've already failed. But I liked the idea. So I'm about to begin working on getting caught up with this so I can blog through March. For the past month or so my son and I have been looking over a program by College Common Sense called Going to College and Paying for it Online Video and Workbook.